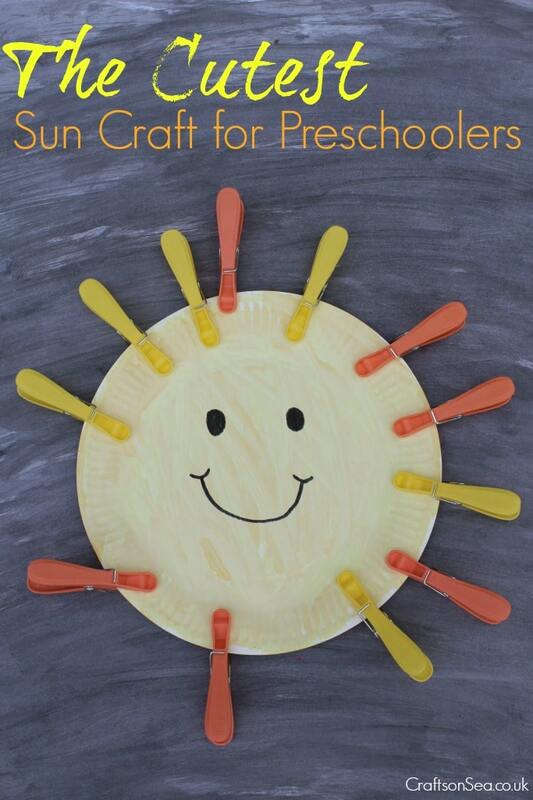 This sun craft for preschoolers is just so sweet it’s guaranteed to put a smile on anyones face! 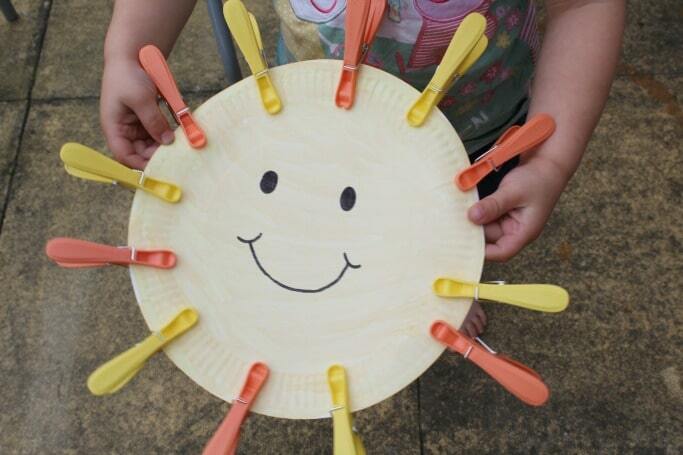 I love sharing crafts for toddlers so I originally planned as an activity for my two year old but as soon as my five year old son saw the cute paper plate sun he wanted to join in too. While for very young kids this is quite a simple activity that allows some learning with colours, there are loads of ways that this can be expanded upon for older kids as I’ll explain below. The paper plates were painted yellow and had a face drawn on them in advance – if you don’t do this then it’s likely to get rather messy! 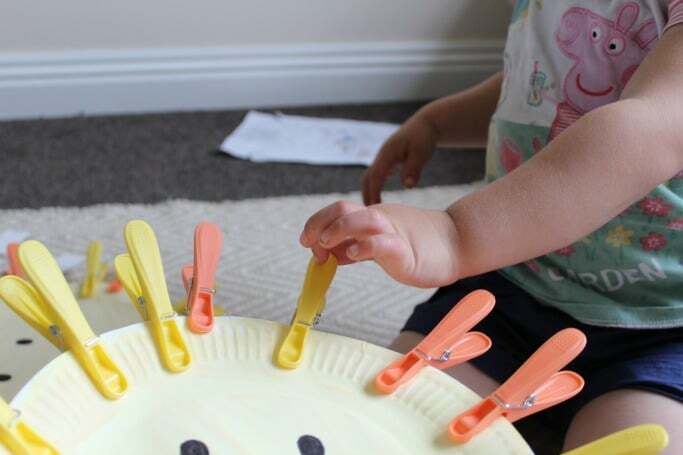 Using the clothes pegs helps to create strength in your childs fingers and this is important for helping them use a pencil. My daughter took a few attempts to learn how to use the pegs but was really pleased with herself once she’d cracked it. At five years old the clothes pegs themselves were simple for my son so we looked instead at creating a simple pattern – yellow, orange, yellow, orange. Write all 26 capital letters around the paper plate and then write different lowercase letters on each clothes peg and ask you child to match them up. I LOVE this idea. Such fun and perfect for fine motor skills too.